Twist crayon BLACK pencil with intense matte colour. An eyeliner with moisturising ingredients allows the eyeliner to glide on smoothly, giving you definition to your eyes for all day wear. 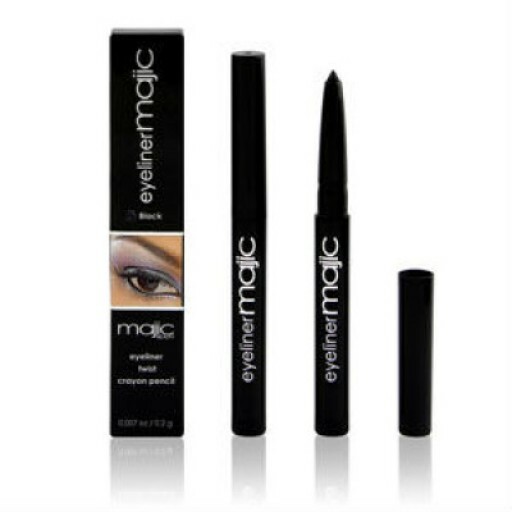 Classic Matte eye liner crayon, twist pencil with moisturizing ingredients to help glide on smoothly, for all day wear. Isopropyl Myristate, Polyethylene, Bis-Diglyceryl Polyacyladipate-2, Black Iron Oxide (CI 77499), Hydrogenated Castor Oil, Carbon Black (CI 77266), C12-15 Alkyl Benzoate, Mica (CI 77019), Polybutene, Synthetic Wax, Beeswax, C30-45 Alkyldimethylsilyl Polypropylsilsesquinoxane, Hydrogenated Coco-Glycerides, Phenyl Trimethicone, Euphorbia Cerifera (Candelilla) wax, Octyldodecanol, Copernicia Cerifera (Carnauba) Wax, Tocopheryl Acetate, Titanium Dioxide (CI 77891), Silica Dimethyl Silylate, Prunus Armeniaca (Apricot) Kernel Oil, Biscobolol, Retinyl Palmitate, Helianthus Annuus (Sunflower) Seed Oil.